Located between the domestic and the public sphere, Al-Madhafah, in Arabic, is the living room dedicated to hospitality. 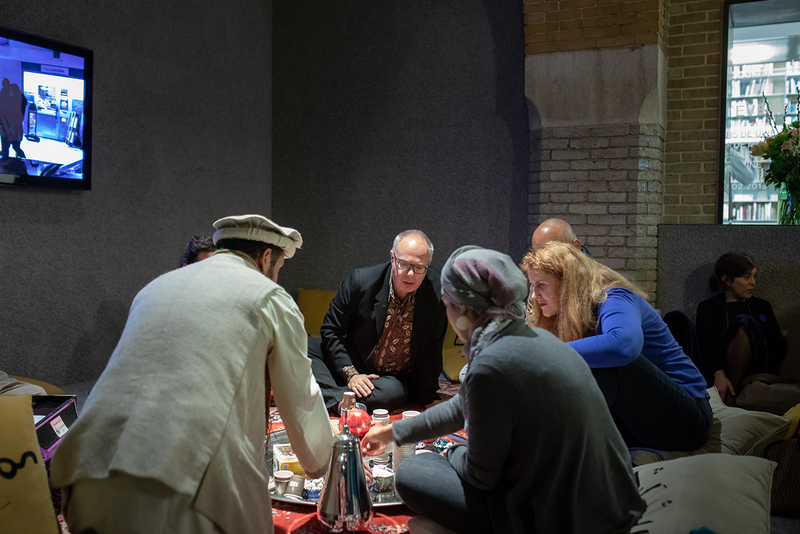 It has the potential to subvert the role of guest and host and give a different socio-political meaning to the act of hospitality. It seeks to mobilize the condition of permanent temporariness as an architectural and political concept capable of challenging the binaries of inclusion and exclusion, public and private, guest and host. It activates the rights of temporary people to host and not to eternally be a guest; the right to claim life in their new destination without feeling obliged to revoke the desire of belonging to life back home. 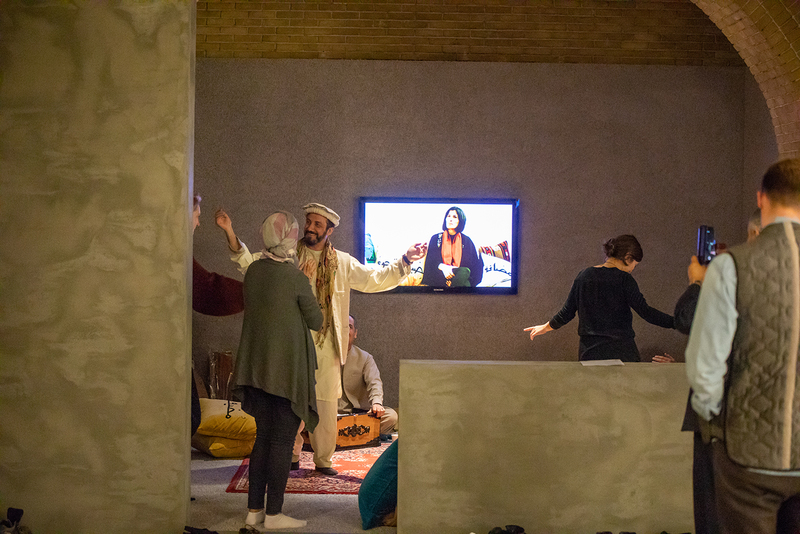 Here in Eindhoven, Sandi Hilal opens a new temporary living room connected to a network of various living rooms activated simultaneously in five different locations in Europe and the Middle East. These spaces interact, inspire, and contribute to each other.